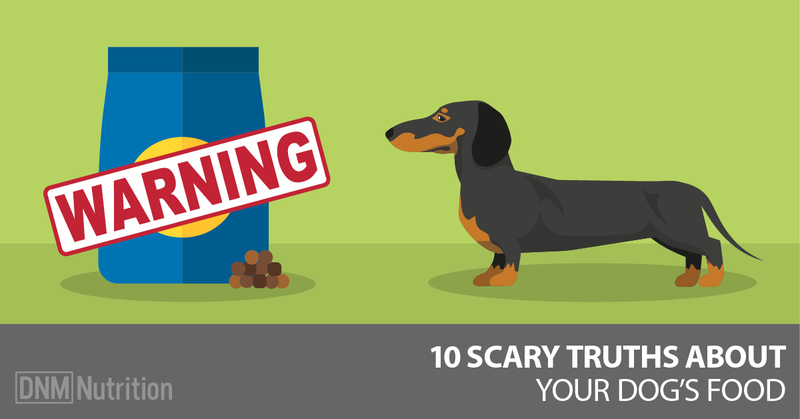 There’s an ingredient found in every kibble (and most other pet foods) that dogs don’t need. And it’s in the food not just to keep costs down, but because they can’t manufacture the food without it. Modern dry pet foods undergo something called extrusion. Once the ingredients are all mixed together, they’re pushed through a giant metal screw where the dough is cooked under intense heat and pressure, and finally pushed out through a small opening at the end, called a die. The hot dough passes through the diet and the small pieces are cut and expand when they’re once again exposed to normal pressure. The resulting kibble is then dried in an oven and put in bags and shipped to pet stores. Extrusion is a great idea for food manufacturers – it allows them to mass produce products. Many of our own foods are also extruded, such as pasta, breakfast cereals, snack foods and breads. And all these extruded foods share one thing in common: a high starch content. Starch, or carbohydrate, is an important part of the extrusion process. Most dry dog foods contain at least 30% starch. The average starch content is 40% and some dry foods can contain up to 60% starch. Those carbs don’t just keep costs down for the pet food manufacturer – they’re an important part of the extrusion process. Starch gelatinizes when it’s exposed to heat and moisture during extrusion – and this gelatinization helps to bind the food into kibble form. But the high starch content found in pet foods today is beginning to come more and more under attack. And with good reason. So let’s look at why starch and carbohydrate are making dogs sick. According to the Association of Pet Obesity Prevention, 52.7% US dogs in the US are overweight or obese and 57.9% of cats are overweight or obese. It’s one of the most common issues veterinarians face. And because fat contains more calories per gram than both proteins and carbohydrates, it’s been historically assumed that fat in the diet is the cause of obesity. But as humans moved to fat-free foods, the population as a whole just got fatter. And as researchers puzzled over this, it started becoming clear that carbohydrates were the likely cause – not fat. Carbohydrates, as we know, are a long chain of glucose. When a starchy carbohydrate is eaten, it’s broken down into glucose, which is the form the body can use for fuel. When this happens, insulin is released in the blood to move the blood sugar, or glucose, into the cells. Insulin is a hormone found in all humans, dogs and cats. And insulin is the only hormone that reduces blood sugar by moving it into the cells. On the other hand, there are 8 hormones that raise blood sugar. Did you get that? Eight hormones raise blood sugar while only 1 lowers it. This speaks volumes to the type of diet dogs were meant to eat. They are much better prepared to raise blood sugar when carbohydrate is scarce, than they are to lower it when excess carbohydrate is consumed. And this makes sense because in nature, there aren’t that many sources of starch. Think about Mother Nature’s buffet and what she has available for all creatures to eat. There are other creatures, nuts, seeds, grasses, fruits and berries. Grains like corn or wheat would never be eaten in the wild because they need to be processed and heated before they can be of any nutritional value. So while dogs need protein and fat in their diet to survive, they have zero requirement for starch. So the starch isn’t put in pet foods because your dog needs it. It’s in there so they can produce billions of bags a year at a cheap cost. Let’s take a look at how much starch or carbohydrate is contained in foods that aren’t man-made and processed. Now compare that to the 30% to 60% starch found in dry dog foods. When dogs eat this much starch, their insulin activity changes. Insulin doesn’t just move sugar, or glucose, out of the blood. Insulin also helps convert glucose into fat and store it in the body. Not only that, but its activation will cause the body to stop breaking down and mobilizing fat stores. So if a dog or cat’s diet is continuously spiking insulin, they will get fat, even on a restricted calorie diet. The only foods that cause a quick spike in glucose and insulin secretion are carbohydrates. How quickly they elevate blood sugar depends on how quickly they’re digested. And the speed of carbohydrate digestion is increased with cooking. Interestingly, the speed of carbohydrate digestion is decreased if the food is high in protein and fat. And if the glucose is released slowly, then blood sugar won’t spike and insulin won’t be released. In this case, the hormone that works as insulin’s antagonist, glucagon, will stay elevated. When glucagon is elevated, then fat deposits will be mobilized and used by the body. The ability of a food to raise blood glucose is called its glycemic index. You can find the glycemic index of foods at glycemicindex.com, which is a site hosted by the University of Sydney. While the glycemic index is useful, the glycemic load of foods is much more useful. Glycemic load is the glycemic index multiplied by the amount of sugar in a serving. This is a much better indication of how quickly blood glucose is raised, which better predicts the spike in insulin. So while fruits can have a high glycemic index, their glycemic load is low because they’re relatively low in sugar and high in water. Carbohydrates with a higher glycemic load are the preferred food source of many harmful bacteria. So dogs eating a diet that’s high in carbohydrate will start to develop an imbalance of bacteria in the gut, with the harmful bacteria starting to outnumber the friendly bacteria. This imbalance leads to a dysfunctional immune system and the friendly bacteria actually manufacture many vitamins and minerals in the intestines, so the dog will start to suffer from malnutrition. But that’s not the only issue. When pathogenic bacteria are allowed to dominate the gut, the tissue becomes inflamed by substances called exotoxins and also by the undigested proteins that can pass through the gut lining. And this can lead to something called leaky gut. Leaky gut syndrome is an increasingly widespread condition in dogs. When this occurs, inflammation in the gut can cause the enterocytes, or intestinal cells, to separate, letting pathogens, bacteria and undigested proteins (also called food antigens) enter the bloodstream. When this happens, the immune system recognizes the foreign matter and ramps up to attack and neutralize the antigens that aren’t supposed to be in the bloodstream. So the immune system is perpetually in overdrive and this can overtax it. In some cases, the antigen from the undigested foreign protein can look like the structure of one of the body’s own tissue proteins. So the immune system will attack not just the foreign invaders, but its very own tissues. This is called molecular mimicry and can lead to the body creating antibodies against itself, which is the cause of autoimmunity or autoimmune disease. Immune experts believe leaky gut could be the precursor to the development of many autoimmune diseases. In dogs, these would include diseases of the skin, thyroid, joints, heart, spinal cord, eyes or brain, inflammatory bowel disease, collapsing trachea, laryngeal paralysis, liver, gallbladder and pancreatic disorders. Behavior problems can also result. An imbalanced gut bacteria colony can also lead to yeast infections. Yeast is a type of fungus that thrives on simple sugars and when the gut bacteria are disrupted, yeast will grow out of control. Candida, once species of yeast, normally lives in small numbers in the dog or cat’s gut, mouth, nose and ears – but when the gut bacteria are out of balance, it can colonize and overgrow. Yeast infections can be local, which means they occur in one part of the body like the ear, or systemic, which means yeast has colonized in the entire body. Systemic yeast is often misdiagnosed as allergies. So it’s important to remember that dogs and cats have no requirement for carbohydrate in the diet. AAFCO (Association of Food Control Officials) requirements, which strictly regulate the amount of each nutrient in pet foods, don’t even contain a minimum requirement for carbohydrate. So with dry pet foods containing at least 30% carbohydrate, it’s easy to see why obesity, allergies and other chronic health issues are so common in dogs today. While the pet food industry is aware of the issue of excessive soluble carbohydrate in their foods, most foods will just add fiber to their foods to reduce the rise in blood glucose levels. So how do you reduce your dog’s risk of health issues from carbohydrates? The first answer is obvious – don’t feed them! There are plenty of raw foods that don’t contain more than 2% starch. These are obviously a much healthier choice! The second answer is to feed your dog a food with the least amount of carbohydrate. This is hard because pet food manufacturers aren’t forced to list the amount of carbohydrate in their food (so nearly none of them do)! Flip your bag of dog food over and you’ll find something called the Guaranteed Analysis. This is the guaranteed minimum amounts of certain nutrients in the food. Now, find the percentage of protein, fat, moisture and ash and then add them together. If the ash content isn’t listed on the food, just use 7% for kibble and 2% for canned food. Ash content can vary but for most dry foods it typically ranges from 5% to 8%. Let’s look at a couple of random examples and we’ll choose both a regular dry food and a grain-free food (these are completely random and are not an endorsement of any kind). Here is Fromm Gold Holistic Large Breed Adult Dry Dog Food. If you turn the bag over, you’ll find the Guaranteed Analysis. So let’s plug the numbers in. Now let’s look at another food: Addiction Grain-Free Salmon Bleu Dry Dog Food. So don’t assume a grain-free food is lower in carbs – it just replaces one starch (like corn, oats or rice) with another (like potatoes, sweet potatoes, tapioca and peas). But both these foods are high in carbohydrate content. There are plenty of dry foods out there with 30% carbohydrate – it’s still too much, but it’s still way better than nearly half of your dog’s nutrients coming from something he doesn’t require. Now last, let’s look at the glycemic load. Let’s look at the first food, the Fromm. The main carbohydrate sources are oatmeal, barley, brown rice and white rice. And the second food, the Addiction grain-free food contains potatoes, tapioca and peas as its main carbohydrate sources. Next, download this free table with a list of the glycemic load of the most common carbohydrate sources in pet foods. Now let’s look up the glycemic index of the two foods. Now we can see that the grain-free Addiction food has a lower glycemic index than the Fromm. So glycemic index counts more than the total carbohydrate content. In general, you’ll want the glycemic load to be under ten. For the most part, only processed foods and grains will be over 10 (with the exception of honey). And remember – a high protein food will also help to keep your dog’s insulin from spiking too high. So grab your dog’s food and the Glycemic Load Download – and maybe a calculator – and see if your dog is eating too much starch. Because if he’s getting too much starch, his health will be affected.